SKF is building a new generation of manufacturing systems, which embrace the power of todays digital technologies to achieve a further step-change in speed, efficiency and flexibility. Digital technologies are helping SKF revolutionise the speed and flexibility of its production operations. For customers, that means shorter lead-times, smaller inventories and lower costs. Gothenburg, Sweden, 08 June 2017: Manufacturing excellence has always been a vital part of SKF’s offering to its customers. The performance and durability of SKF products depend on appropriate materials, precise geometry and accurate assembly. To achieve those things, the company is continually refining and evolving its production processes and capabilities. World-class manufacturing isn’t just about precision, however. It also requires great flexibility. To ensure the best possible service for customers, while keeping costs under control, manufacturers need agile, adaptable production systems that handle small batches and work to short lead times. In common with many top manufacturing companies, SKF has adopted the principles of lean manufacturing, with its relentless focus on elimination of errors, delays and other forms of waste. 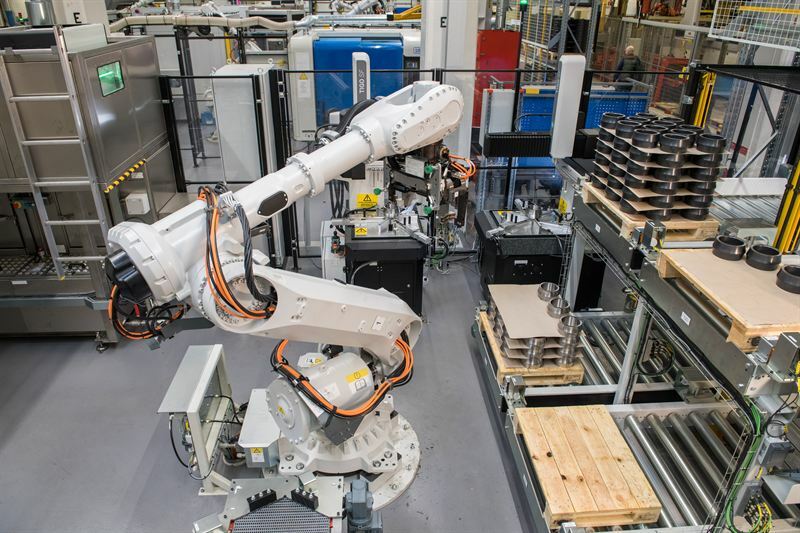 Now the company is building a new generation of manufacturing systems, which embrace the power of today’s digital technologies to achieve a further step-change in speed, efficiency and flexibility. That capability has the potential to provide tremendous value for SKF’s customers, he explains. Today, many of them spend considerable time and effort attempting to forecast future demand. Then they tie up valuable capital in stock to meet that forecast. In the future, those customers will be able to order what they need, when they need it, with confidence that the right product will be available at the right time. It’s a compellingly simple idea, but it is one that requires complex changes behind the scenes. “The digital transformation in manufacturing involves improving flexibility through the complete flow of our manufacturing processes. It’s about producing batches of products with a very low number of pieces in each batch,” says Napione. That flexibility is delivered in two ways, he explains. First, there is “vertical” flexibility, provided by machines that can switch automatically between different products without the need to stop production for manual tool changes, adjustments and checks. That involves a high degree of automation, for example using robots to exchange tools and other components. Then there is “horizontal” flexibility, which is about achieving seamless connectivity across the organization. “That’s about ensuring that the processes used by every part of the organization – supply chain, procurement, manufacturing – are integrated all around the world so they work as a system and operate using a single communication platform.” says Napione. Inside the manufacturing operations, says Napione, SKF focus are to increase efficiency, be more flexible and reduce lead-times at the lowest possible cost. If we then look into the efficiency part this means to have maintenance efficiency by keeping machines running accurately and reliably for as much of the time as possible. For operational efficiency we want to maximise production performance while minimising cost. For information efficiency we have to ensure that the right information can be retrieved and acted on at the right time, from machines, from other parts of the business and from customers, too. And for energy efficiency it is about optimising energy consumption and reduce the waste as much as possible. “Energy plays an important role from a cost perspective, but achieving a higher degree of sustainability and ensuring that energy is not wasted is also part of any organization’s social responsibility,” he notes. To achieve its objectives, the company is making use of a wide range of tools and technologies. In the near future, during development, the “digital twin” approach will allow SKF to simulate products, production processes and even to process energy consumption in a digital environment. This will allow for designs to be refined and process flows optimised before a single machine is set or any component are processed in real-time. The machines it uses on the shop floor will contain high levels of automation, so they can adjust themselves to suit different requirements. They will bristle with sensors too, so they can monitor their own health and performance, make corrections and adjustments on the fly, or alert maintenance teams of impending problems. Automated identification systems will allow products to be tracked through production, and give machines the information they need to carry out the right actions on every part they receive. Finally, cloud-based data storage and communication systems will tie the whole digital manufacturing process together, and provide those vital horizontal links to the wider organization. Integrating all those elements is a hugely complex process, requiring considerable human skill and ingenuity, says Napione. As result, the complete digital transformation of SKF’s manufacturing operations won’t happen overnight. The company’s experience so far has been enough to give it confidence in the value of the approach, however. SKF’s bearing production facility in Gothenburg is serving as a real-world test-bed for world-class digital manufacturing. The site has adopted a range of innovations, including a complete digital information network and advanced automation solutions. 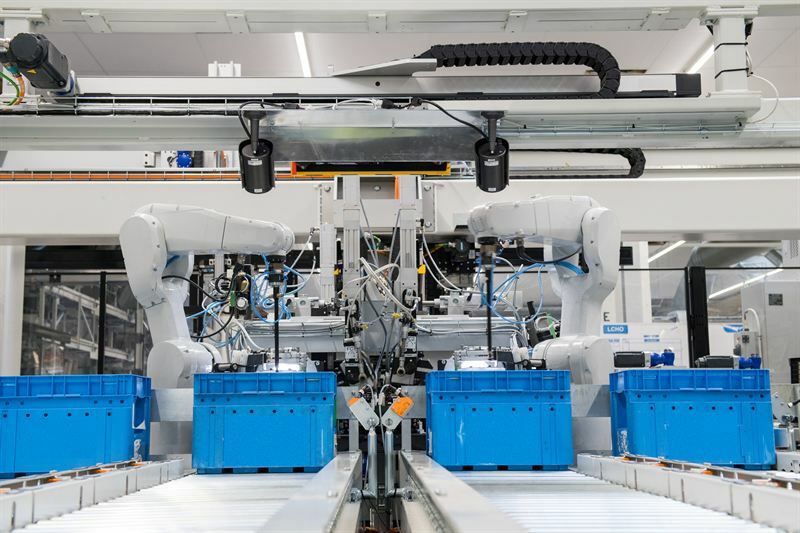 “We use robots to automate a number of previously manual processes, with automated guided vehicles moving parts between production stations,” says Napione. “And we have simplified the process for setting up and adjusting the machines, so they can switch between products much faster than in the past. In some cases, we’ve even been able to reduce the time required for resetting close to zero, with the machine doing everything automatically.” Together, those changes mean that the time required for a single bearing to flow through the full manufacturing process has already been reduced from days to hours. Further developments are under way. SKF is continually investing in new machines with enhanced capabilities, and assessing alternative manufacturing processes and tools with the potential to add further flexibility to its operations. The company is building its own technologies too. In bearing assembly, for example, SKF is already experimenting with prototype systems that replace today’s heavy steel tooling with lightweight 3D-printed tools down to grams instead of kilos. That change, says Napione, will allow the same robot used to load bearing rings into the machine to also swap the tooling as required, eliminating a tool change process that used to take several hours to achieve.